Happy Monday! I am generally not Monday’s biggest fan, but I’ve got Friday off this week due to parent-teacher conferences Thursday night (ah! ), so it feels more like a Tuesday which is A-OK with me. Hope everyone had a good weekend! I spent the weekend in Illinois visiting my parents so that’s why I took a tiny break from blogging. I have an incredible Greek eggplant-based recipe to share with you that my mom showed me how to make Saturday! Unfortunately, I forgot the recipe at my parents’… but have no fear: my mom will send it to me tomorrow morning so I should have it up here for you ASAP! You will love it! 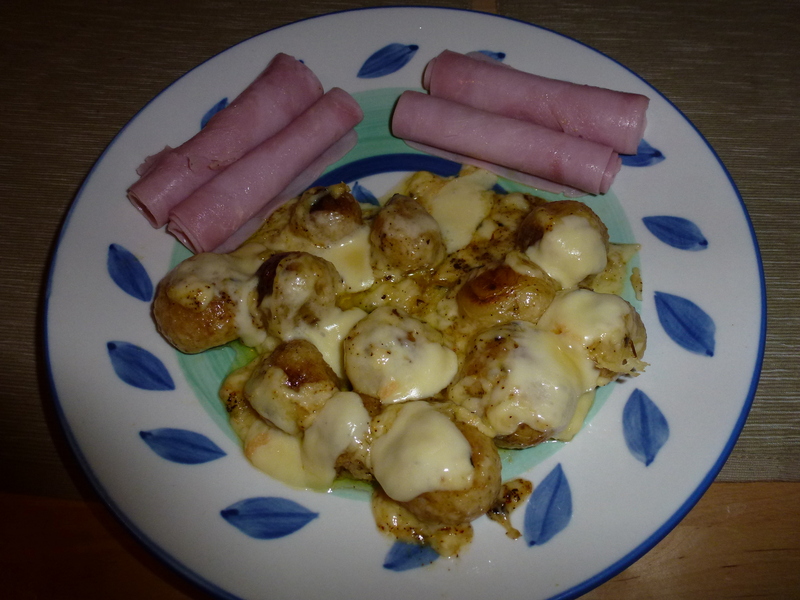 I have a delicious 3 ingredient dinner for you: Raclette! Here is a little background. 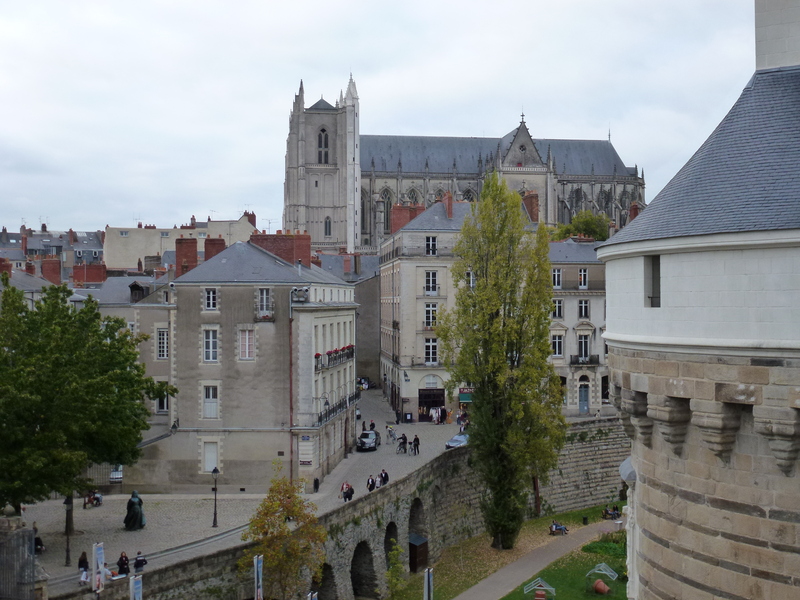 I spent the 2011-2012 school year in Nantes, France as an English Teaching Assistant in a French high school through the Teaching Assistant Program in France (TAPIF). During my year abroad, I was invited to several dinner parties by French friends I had met as well as teachers I worked with. The number one dish that was almost always served at these dinner parties? Raclette. Raclette is a type of Swiss/French cheese that melts really well. It’s extremely popular in Northern France where it gets quite chilly in the Winter. It’s a very comforting Fall/Winter dish and has a way of warming you up! 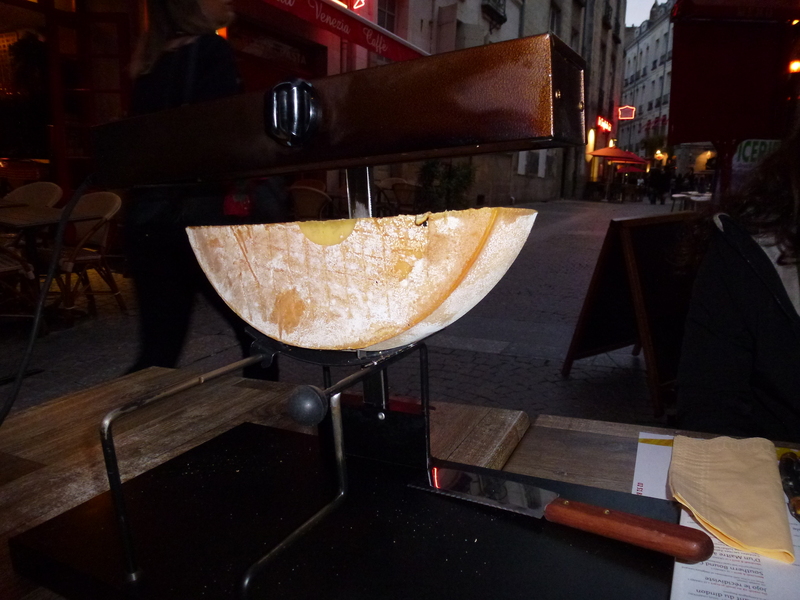 By the way, this picture is from a restaurant I went to with some friends in Nantes… look at that giant piece of cheese! We were amazed. It melts the top layer of cheese, and once it is melted, you scrape it off. Most French families I met in Nantes own one of these. You place a slice of Raclette cheese on one of the little trays and place it into the table-top grill. Once it is melted, you slide it off, onto your plate. 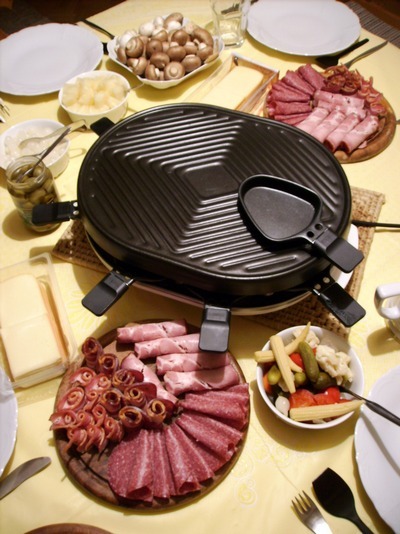 Raclette cheese is usually melted onto roasted/baked potatoes and different charcuteries like ham, salami, prosciutto, etc. It sounds so simple – and it is – but let me tell you… it’s delicious! A perfect dish for chilly Fall and Winter nights. 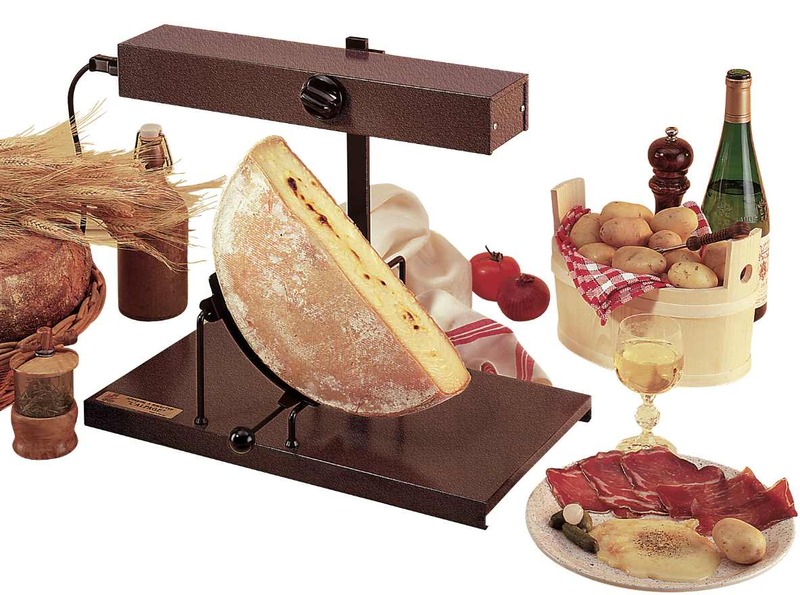 Now I realize not everyone has a special Raclette machine to do this – so here is my easy way of making Raclette. First, assemble your ingredients. 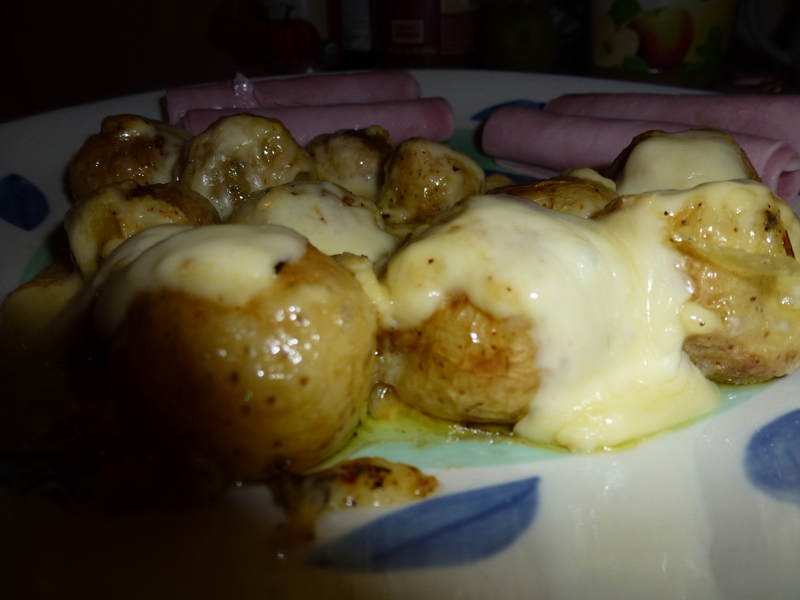 I used 1/2 lb of Teeny Tiny potatoes from Trader Joe’s, low sodium ham, and Raclette cheese, also from Trader Joe’s. Aren’t the potatoes adorable? I couldn’t resist buying them – I love anything in miniature form! They taste great too! Next, wash the potatoes and brush them with some olive oil and sprinkle with your favorite herb – I used basil, but rosemary or thyme would be delicious. 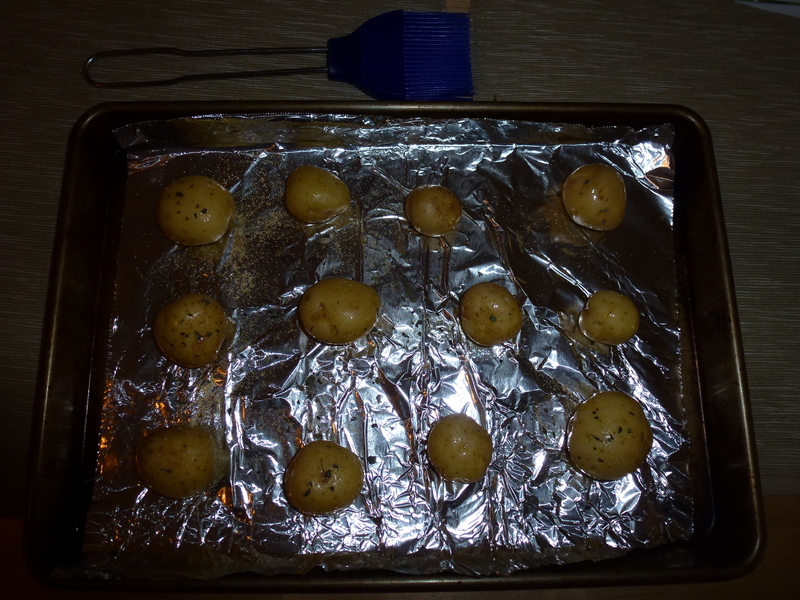 Place the potatoes on a foil-lined baking sheet and place in a 325 degree oven. After the potatoes are done, around 30 minutes, take them out of the oven and cover each of them with a little piece of cheese. I used about 1/2 a slice per potato, less for the tinier ones. 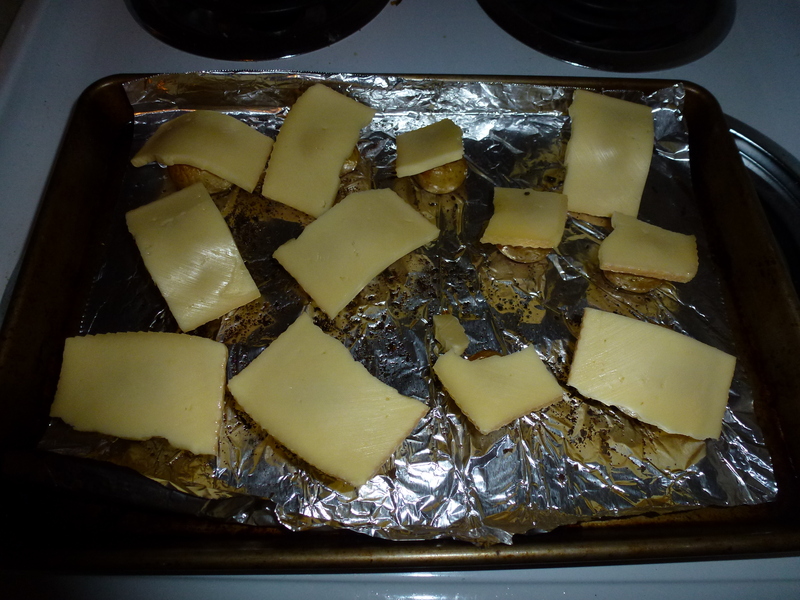 Place the pan under the broiler for a few minutes until the cheese is melted. Take them out of the oven and serve with ham, salami, prosciutto, or other deli-style meats. Et voila! 1. Preheat oven to 325 degrees. Brush clean potatoes with olive oil and sprinkle with the herb of your choice. 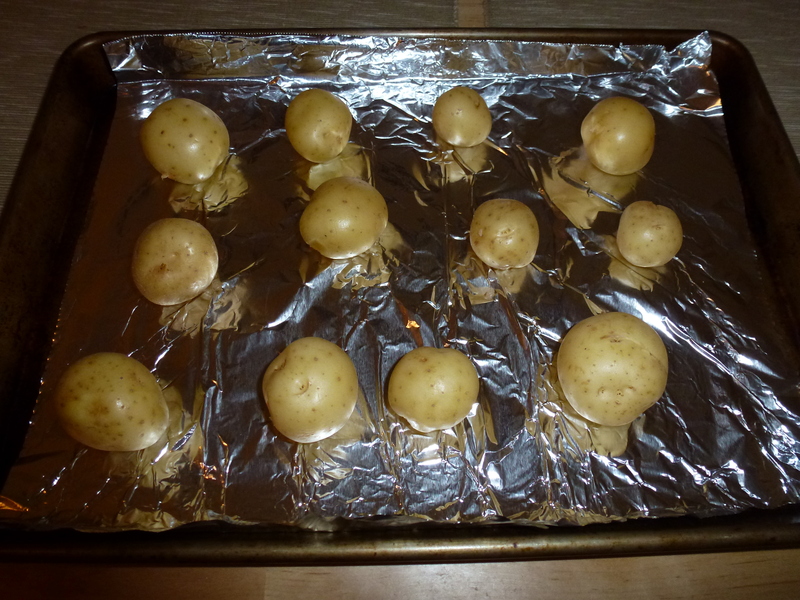 Place in a foil-lined baking sheet and roast for 30 minutes (for the teeny tiny ones) or until potatoes are cooked. 2. 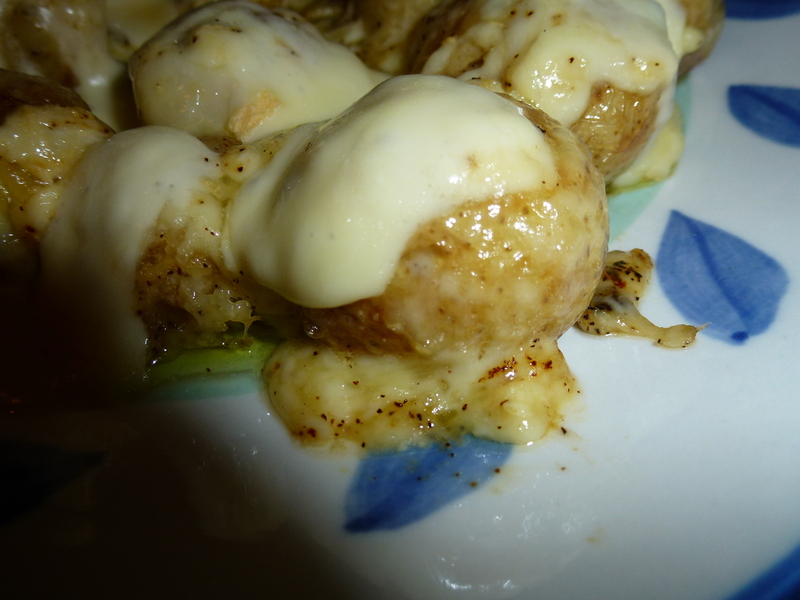 Cover the potatoes with slices of Raclette cheese then place under the broiler for a few minutes. Take them out of the oven when the cheese is melted. 3. Serve with ham, salami, prosciutto, or other deli meats. Okay, I may have gone a little overboard with the cheese… but really, how can you have too much cheese? Impossible I say. What’s your favorite comforting Fall/Winter dish? 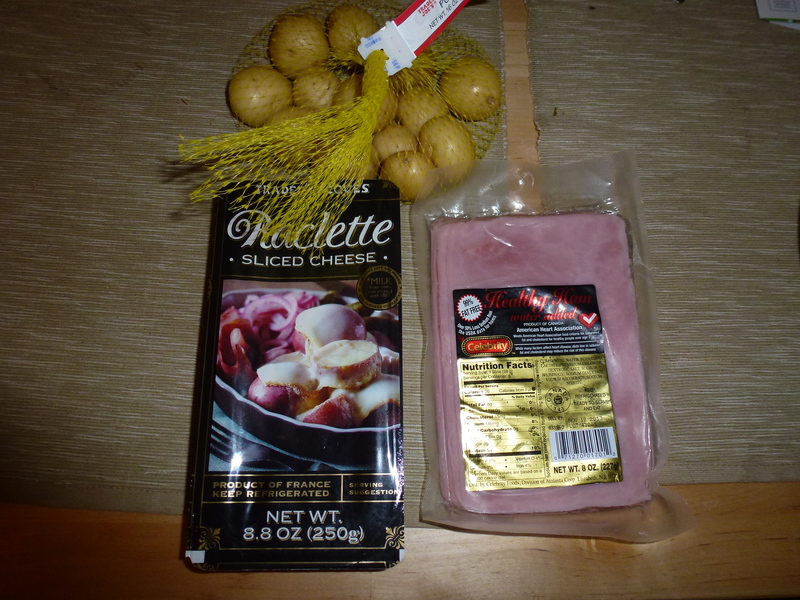 This entry was posted in French Dishes and tagged 3 ingredients, cheese, easy, French, ham, potatoes, Raclette. Bookmark the permalink. 5 Responses to Raclette – A comforting French dish with only 3 ingredients! Totally agree, no such thing as too much cheese! Everyone at work makes fun of me for the amount of cheese I consume, but I say they don’t understand because they never lived in Wisconsin. Can’t wait to make this! Cheese is pretty much the greatest thing ever. Wisconsinites will really enjoy this dish! Hi Nicole! This is not how you eat raclette!! I know, but they don’t have raclette grills here!! At least I haven’t seen any. C’est triste!